We partner with clients from the initial seed of an idea, helping it get the best start in life. Once the idea starts to grow, we provide the support framework to help nurture it further. Our clients look for a digital studio with experience. Someone who’s been there and done that. We partner with clients from the initial seed of an idea, helping it get the best start in life. And, once their idea starts to grow, we provide the support framework to help nurture it further. Our journey with you begins when you need new direction, a fresh approach and a roadmap of how to get there. We help tell your story in a way that engages customers and communicates the values of your brand. Our experience enables us to employ a flexible working process to ensure our journey together runs smoothly and delivers fantastic results at every stage. I am really satisfied with my website from Code Clinic, I've had a lot of positive feedback from customers. Thanks for the great partnership! It can be hard to keep pace with changes in the market & make decisions about your future strategy. We explore ways to get your product to market and help inform the direction to take while still remaining true to your brand. We’ll look at what has brought you to us and any niggles that you can’t move past. We’ll capture the energy of your business and build on your current successes. Great job once again! Phill is always very clear and efficient about the work and spends time to understand what it is that I am after. This job once again needed to be "yesterday" and the Code Clinic team were very flexible and were able to help me quickly. Would be happy to recommend them. Building a great user experience for your customers is as important as ensuring the security and availability of their data. We plan, design & build secure, standards compliant applications for local, national and global clients. We blend the importance of security with the need to get new features live quickly – helping you stay ahead of the competition. We've been working with Code Clinic for a number of years across different projects and development phases of the AvBuyer offering and campaigns. 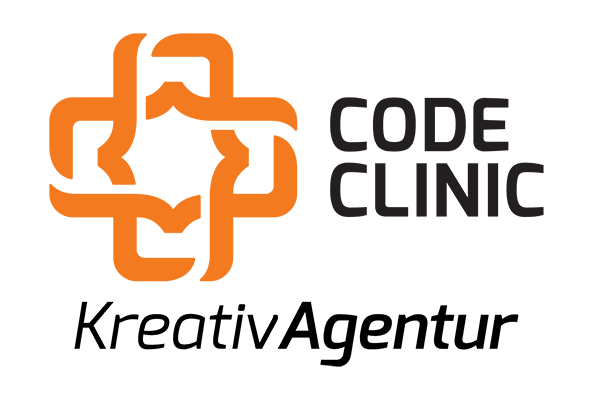 We have always been very happy with the work done by Code Clinic. Once we know your brand, we use design to tell your story and spread your message. Our designers understand print’s very unique design needs and have experience creating a broad range of print materials from adverts & brochures through to business stationary & media kits. Even in today’s increasingly digital-first world print continues to play an important role in engaging your customers. Very satisfied from start to finish. Well done and thank you. Will certainly be making use of the Code Clinic's services again. A brand is more than just a logo. It's your story, what you do and how the market sees you. By taking the time to understand your business and its target markets we’ll create an effective solution that reflects your values, and projects the right image that speaks to your customers. We’ll create a unique and professional branding solution, whether that’s starting afresh or evolving an existing identity.